The long-awaited day about which so many of you have been inquiring has finally arrived! Blessed be God and may God reward you for your prayers! Ane Kirstine has officially entered Saint Gabriel's Novitiate! She will henceforth be known as Sister Cecilia Maria of the Body of Christ! (I know, one "shouldn't" use so many exclamation points but we are pretty excited around here.) :) We don't have any photos downloaded yet - that will keep you coming back to visit again! Posting photos might have to wait until later next week as I will be out of the office for some days. But I wanted to get something posted for you as you have been so patiently awaiting this news! The following is the holy exhortation Mother delivered to the community during the Vestition ceremony. It wonderfully encapsulates our Passionist charism. Be blessed! Today, on this feast of the Presentation of Jesus in the Temple, the Church throughout the world is celebrating Consecrated Life Day, honoring and encouraging those whom God has called to the various forms of consecrated life. This is a beautiful day on which to celebrate a Passionist Vestition! Jesus Himself is the supreme Consecrated One. He it is “whom the Father consecrated and sent into the world”(Jn 10:36) While yet only an Infant, Jesus sets out on this path of total consecration to the Lord and His work of human redemption. The first person to be associated with Him on this path was Mary, His Mother. Coming into the Temple to be presented to the Lord in fulfillment of the law of the Lord, Jesus rests in His Mother’s arms. Mary’s Heart was totally one with the Heart of the Child in her arms. Both Hearts were united in an attitude of total consecration to the Father and to His plan of salvation. And the Father is accepting their total self-gift, in the infinite tenderness of His love. With the inner gaze of our hearts, we contemplate Mary in prayer, as she brings her only begotten Son to be presented to the Lord. This pre-figurement of her offering on Calvary in union with her Son makes Mary the icon of the Church offering Jesus in sacrifice to the Father. Mary also stands before us today as the icon of all that a Passionist Nun is called to be and to do for God and for the Mystical Body of Christ. This is a many-layered mystery inviting us to ponder our own call to be consecrated to the Lord, to be ever offering our Crucified Redeemer to the Father, and to be totally at the service of the Body of Christ, the Church. #3 of our Constitutions (Part II, #3, p. 55) says: “The Passionist Nuns...consecrate themselves totally to the mystery of the redemption.” We are to be busy about the Lord’s affairs–-the redemption of the world (cf I Cor 7:32, 34). Each day at Mass, we long to enter ever more fully into the sacrifice Jesus offers unceasingly to the Father as our Divine High Priest and Victim. 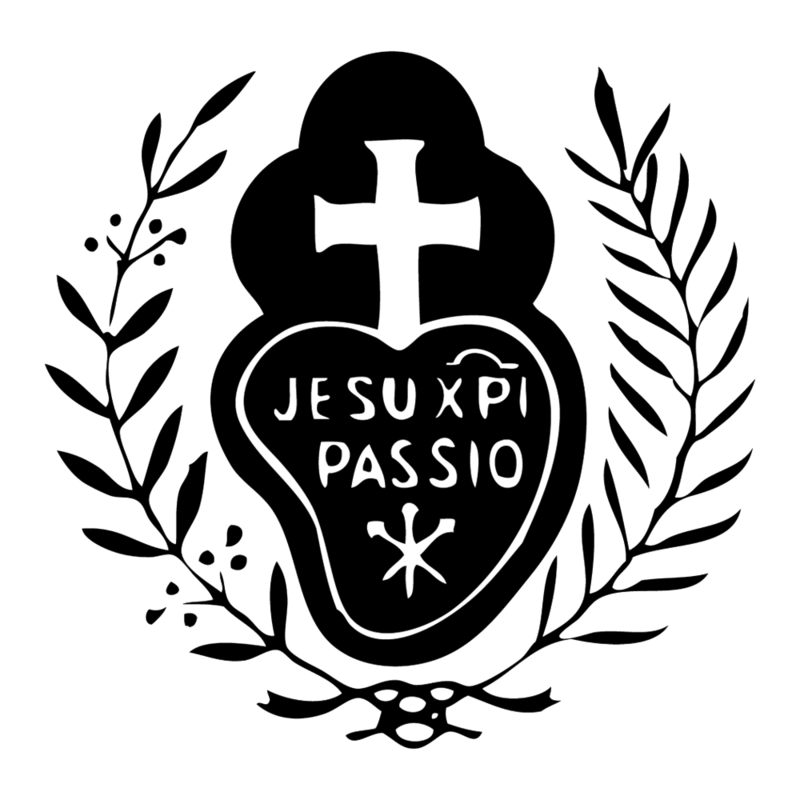 Throughout each Passionist day, we strive to continue this offering in a “living liturgy” of prayer, work, joy and suffering on behalf of His Body, the Church. When we receive Holy Communion at Mass, Our Lord renews the total gift of Himself to us. He places Himself in our hands, so that like Mary, we may live in a perpetual attitude of offering Him to the Father. The Church’s entire spiritual wealth is thus given to us for the sake of His Body, the Church. Our Lord hands over to us the love of His Most Sacred Heart, His suffering and merits, His most Precious Blood and holy wounds, that we might use this infinite spiritual wealth for the salvation of the world. He, the great Eternal High Priest and Sacrificial Victim hands Himself over to us that like Mary we might be His helpmates, His beloved Brides, His associates in the work of human redemption. It is clear from Our Holy Founder’s words that we are to live in a state of offertory. He says, “Let them frequently offer...the Passion and infinite merits of Jesus Christ....” We, of course, do this most intensely at Mass and the Liturgy of the Hours. But our liturgical prayer is meant to continue on throughout the day in a silent liturgy of the heart as we offer ourselves in sacrifice with Him. Totally consecrated to the mystery of redemption, we offer our prayers, works, joys and sufferings in union with the Sacrifice of the Mass throughout the world, that Our Lord’s bitter sufferings and death might bear abundant fruit in every human heart and life. Our Holy Founder often spoke of an altar hidden deep within our hearts where we are to keep our Sacramental Lord exposed as we go about our daily rounds. In a moment of prayer, we can enter that sanctuary of our baptized souls and present the Passion, the Blood, the wounds and love of the Heart of Jesus to the Father as a redeeming sacrifice for souls. And the Father lovingly accepts this offering. The living memory of His Passion is meant to transform our whole day into a life lived “for the sake of His Sorrowful Passion,” a life totally consecrated to bringing the healing fruits of His Sorrowful Passion to the world. And to this blessed vocation we are called. These we recognize as our Holy Founder’s words to Mother Mary Crucified. Because He is God, Our Dear Lord in His Passion foresaw the love and reparation we would one day offer Him, and this was like an anointing of His painful wounds. But there is another great mystery here: the Mystical Body of Christ, the Church, even today and until the end of time, is severely wounded, and is undergoing an ongoing Passion and crucifixion. By the continual exercise of every virtue we are meant to anoint the wounds in His Mystical Body today. Every time we overcome sin and self-centeredness in our hearts, we anoint Christ’s wounds. Every time we accept hardship and sacrifice, we anoint and help to heal the wounds in His Body, the Church. Every time we reach out to give attention and love to those who suffer, especially the members of our own community, we touch and anoint the wounds in the Body of Christ (cf Rule and Constitutions Part II, #14, d). In the continual exercise of every virtue, we bring the fruits of Our Lord’s bitter agony, sufferings and death to souls, so that this living memory of His Passion will bear its precious fruits. Clearly then, we like Mary are Christ’s associates in the work of redemption. We are to devote ourselves totally to His Person and His redeeming work. We are to be busy about the Lord’s affairs, continually offering the treasury of His merits to the Father for souls. As we proceed now with the clothing of Postulant Ane Kirstine in our holy Passionist habit, we will witness the portrayal of what we are all called to—to be clothed in the memory of the Passion of our Beloved Lord, to be His intimate associates in binding up the wounds in His holy Body, and to continually offer His Passion and Death to the Father in the interior liturgy of our hearts. Our vocation, like the feast we celebrate today, is a many-layered mystery, the depths of which we cannot penetrate in these brief reflections today. Ane Kirstine’s religious name and title will bring all of this together: She will bear the name of Cecilia Maria of the Body of Christ. Like St. Cecilia, she will continue in the silent prayer of her heart a most pleasing canticle of sacrificial love extending the fruits of the Mass throughout the day. And bearing the title “of the Body of Christ,” she will be totally devoted with Mary to the perpetual offering of the Sacrificial Victim to the Father, thus serving the work of the Redemption for the sake of Christ’s Body, the Church. Let us give thanks to God for the graces that Ane Kirstine has accepted, and let us pray that she and each one of us, will persevere until death in our Passionist vocation to be totally consecrated to the Lord, in close union with the Hearts of Jesus and Mary! Blessed be God! And may the Passion of Jesus and the Sorrows of Mary be ever in our hearts. Amen. What I Love About Being a Passionist!